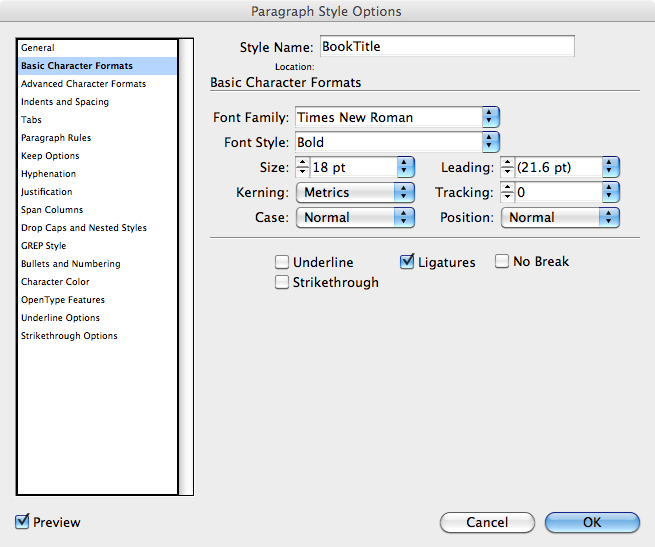 Now that you’ve made some decisions about how you want your book to look, it’s time to format your book for print. One of the many applications available for producing not only a great looking printed book but also the files you’ll need for your Kindle and ePub versions is Adobe InDesign®. Since this application is available on a monthly subscription basis, you don’t have to pay big bucks to own it – simply purchase a one-month subscription and use the app as much as you need. Renew the subscription if you’d like, or allow the subscription to lapse until you need it again. 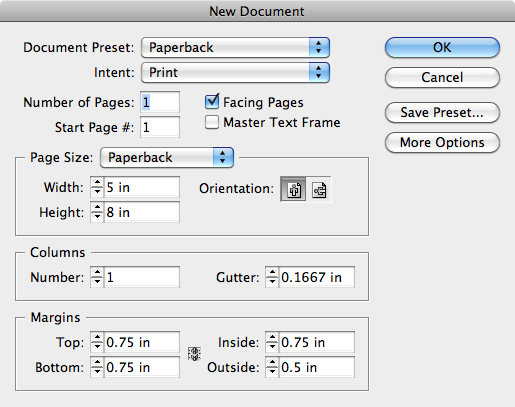 Each of the chapters and the various front matter and back-of-the-book files for your book will be separate InDesign files. All of these files are then pulled into a book file. From the book file, you’ll be able to output a PDF for print, output an ePub file that can be used for Nook, iTunes, Smashwords, and Kobo, and, with a free downloadable plug-in from Amazon, a .mobi file for Kindle. Note: You’ll need a table of contents if you’ll be making an ePub and/or .mobi file from InDesign, but you won’t use it for print purposes. 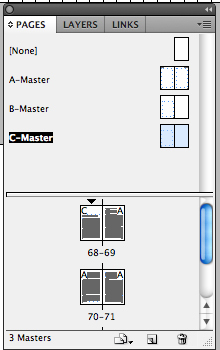 On the master page spreads, use the text tool (T) to click and drag out the text boxes for the headers, footers and text areas. 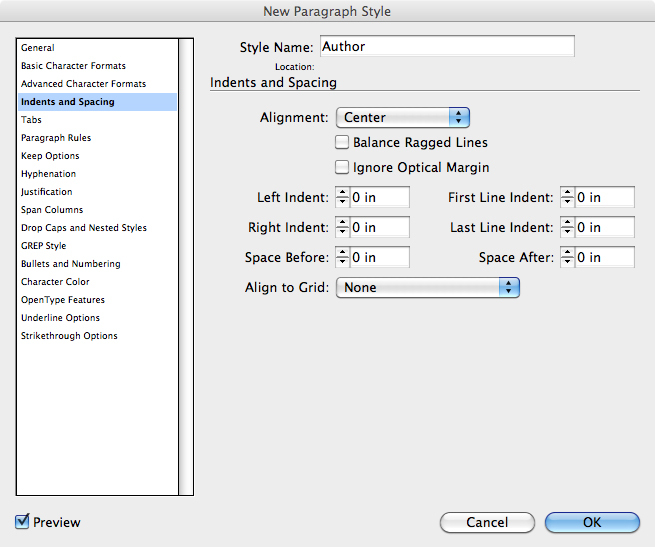 Position them according to the margins set up in your document. 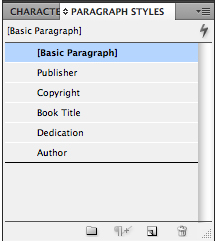 For page numbers, choose Type > Insert Special Character > Current Page Number. Be sure the page numbers are positioned at the outside margin – not in the gutter! A is a two-page spread with headers, footers and text blocks. The left header is for your author name in the italics version of your book’s main font. The right header is for your book’s name in the italics version of your book’s main font. 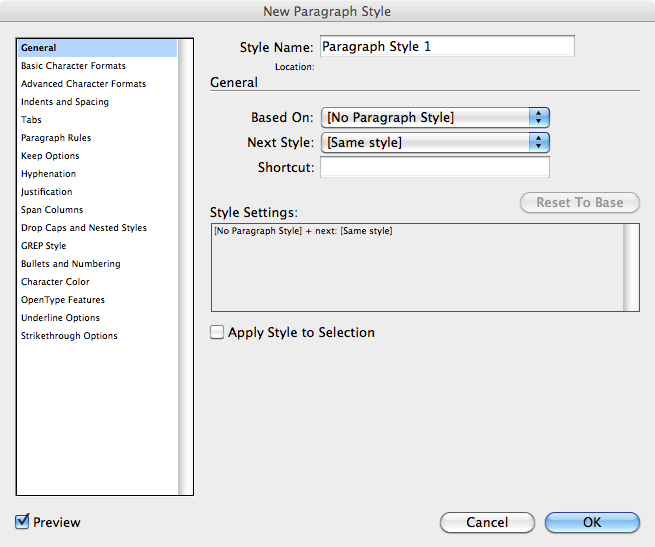 B is a two-page spread with footer, chapter start and a text block that starts around two inches below the top margin. C is a two-page spread with no headers or footers – just a text block for use on your title, copyright, dedication/acknowledgement, introduction to excerpt, excerpt, and author pages. 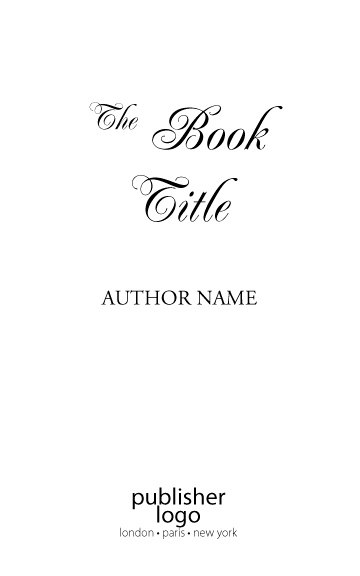 Note: For a title font, choose one appropriate to your genre and make it large, but not so it overpowers your page. Take a look at some paperbacks you have on hand to use as guides. If you have an imprint or logo for your publishing company, insert it centered near the bottom of the page. Be sure the image is in JPG format and sized to its finished printed size at 300 dpi. Select “Basic Character Formats” and choose your Font Family and Size = 8 pt. and Leading = 9.5 pt. Cover image © <name of where purchased>. All rights reserved. Used with permission. The e-book version of the copyright page should include all but the “Printed in” line as well as the boilerplate information for e-books. If you’re distributing through Smashwords, follow their guidelines for what to include. Select “Basic Character Formats” and choose your Font Family and Size = 11 or 12 pt. and Leading = 13.5 or 14.5 pt. Now that you have the files complete for your front matter, it’s time to start the chapter files. I’ll cover the steps for those files in my next post.